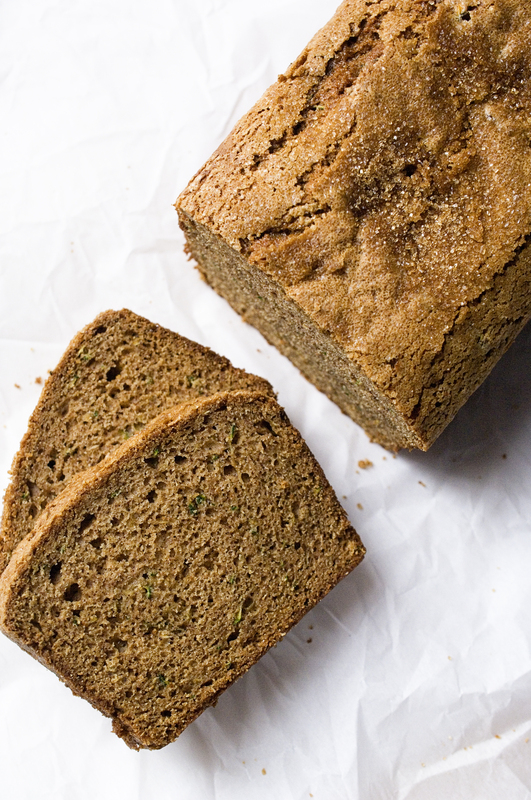 Zucchini Bread + 5 Zunchini Bread Recipes To Make This Summer! I apologize for the brevity of this post. I have a long list of things to get done today before we leave for our family vacation. Packing for a family of 5 is no easy task! This week we received a beautiful zucchini from our farm share. “What are you going to do with that, Mama?” C. “Want to try zucchini bread?” Me. 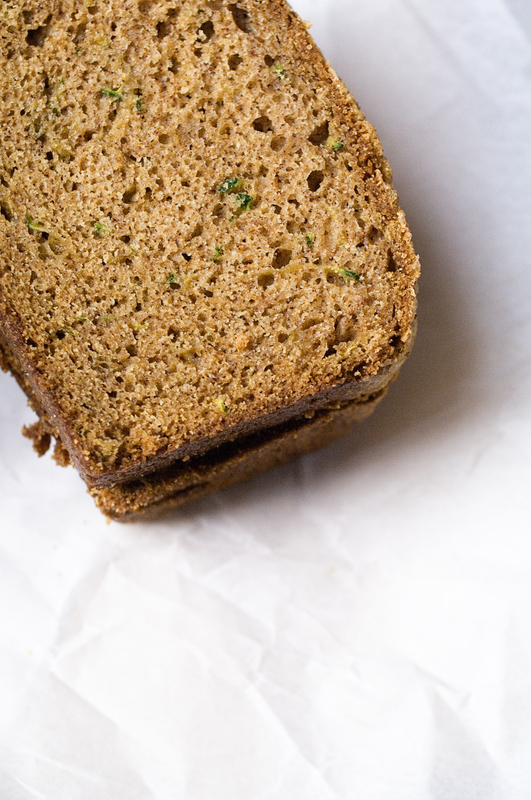 “Zucchini in bread: gross!” C.
I made the bread despite C’s objections, and I am so glad I did! I came across a recipe for zucchini bread in my latest Cook’s Illustrated. The recipe promised a light and moist snack bread, which intrigued me. Most zucchini bread I’ve made comes out pretty dense and often times soggy. This bread is a welcome change from the bread I normally eat. It is light and moist, low on oil and it even contains a bit of whole wheat flour. It sorta feels ok to eat several slices of it in one sitting! Place the shredded zucchini in a clean dish towel and twist tightly to release as much liquid as possible. This steps guarantees your bread won’t turn out soggy! You don’t need your mixer for this recipe. All you need is a whisk and two bowls. Easy! Whisk the wet ingredients and dry ingredients separately and fold the wet zucchini mixture into the dry mixture. Pour the batter into your prepared loaf pan and sprinkle 1 tablespoon of raw sugar over the top. The sugar will give you a nice, crunchy top. Who doesn’t love that? C couldn’t get past zucchini in the bread to eat it. G and Bubba loved it. One piece is left sitting on our counter, well wrapped and still fresh. I plan on eating it with my left over coffee I never finished this morning. Pre-heat your oven to 325F. Grease a loaf pan (I used cooking spray.) and set aside. 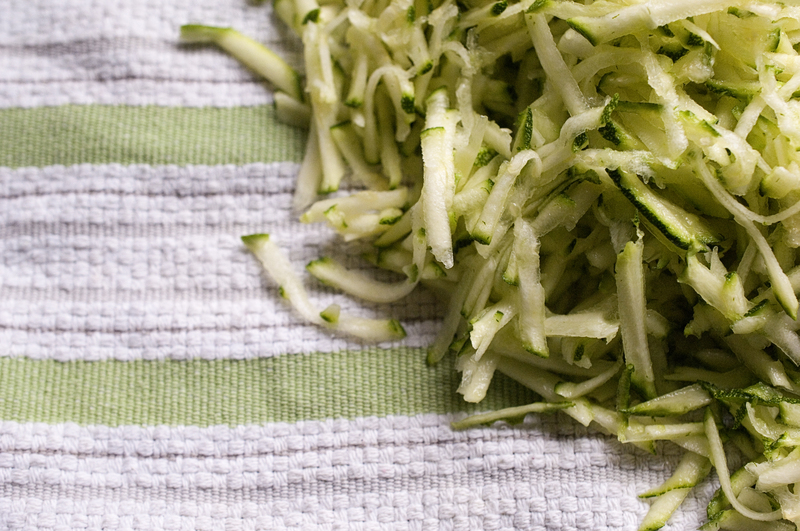 Shred the zucchini using the large hold of a box grater and place in the center of a clean dish towel. 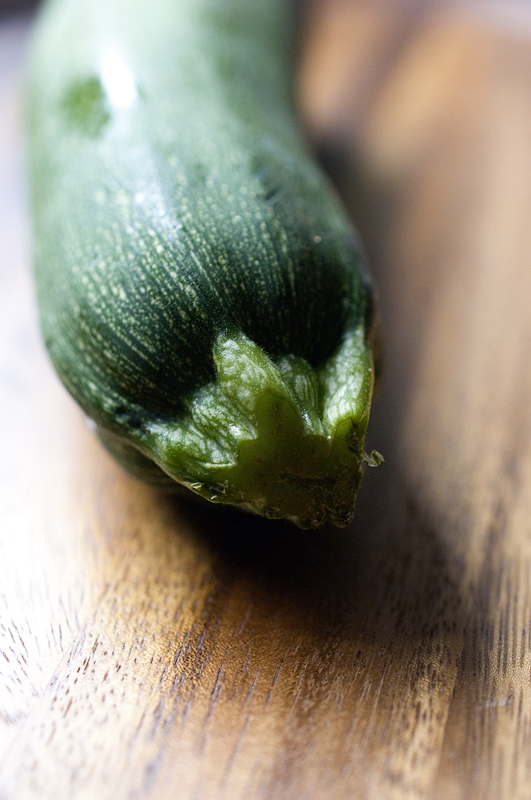 Gather the ends and twist the towel to remove as much liquid as possible from the zucchini. Twist a few times. Set zucchini aside. 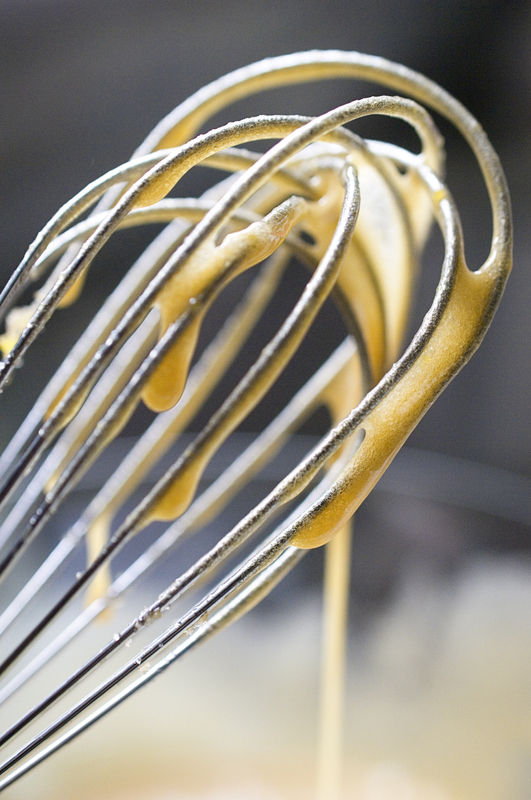 In a medium bowl, whisk together brown sugar, oil, eggs and vanilla. Fold in zucchini. In a large bowl, whisk flours, cinnamon, salt, baking powder, baking soda and nutmeg. Fold zucchini mixture into dry mixture until just blended. Do not over mix or you will have rubbery bread! 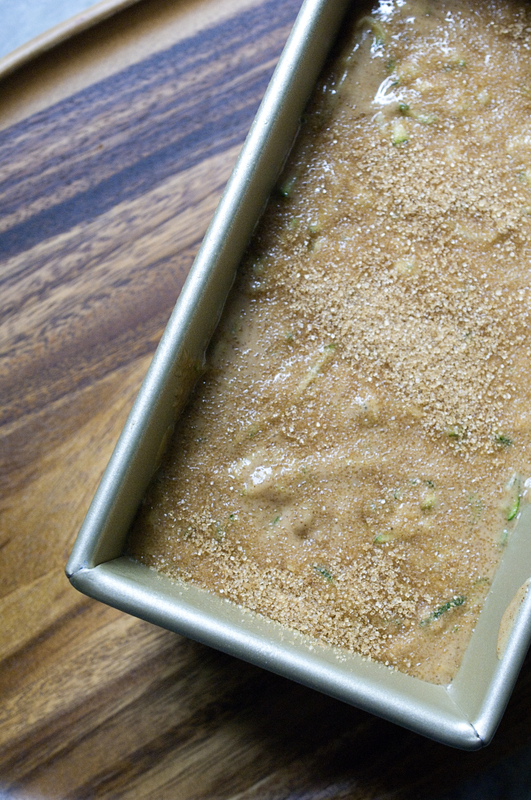 Pour batter into prepared loaf pan and sprinkle with raw sugar. Bake for about 60-70 minutes or until the top springs when pressed and a toothpick inserted in the center comes out clean with only a few moist crumbs. (Check bread at 55 minutes, just to be sure.) Allow bread to cool in pan on a wire rack for a half hour. Carefully remove bread from pan and let it cool completely. Serve at room temperature. Enjoy! 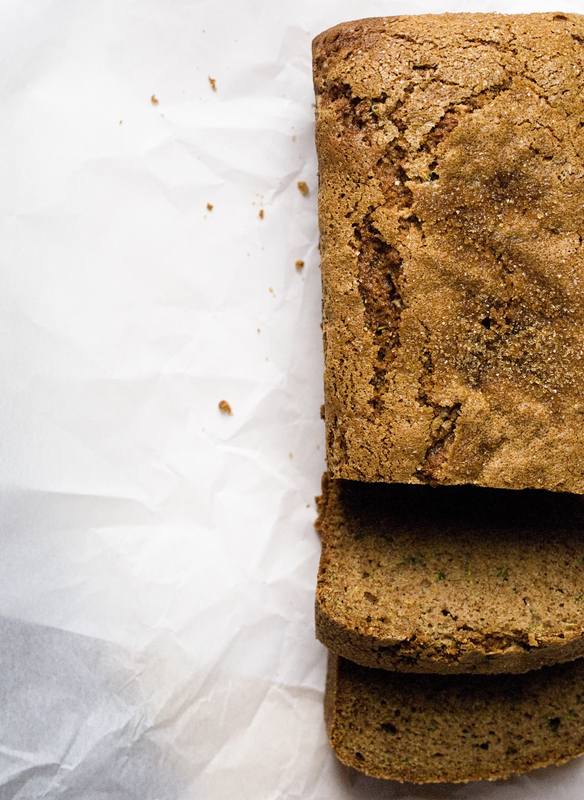 5 Zucchini Bread Recipes To Make This Summer! 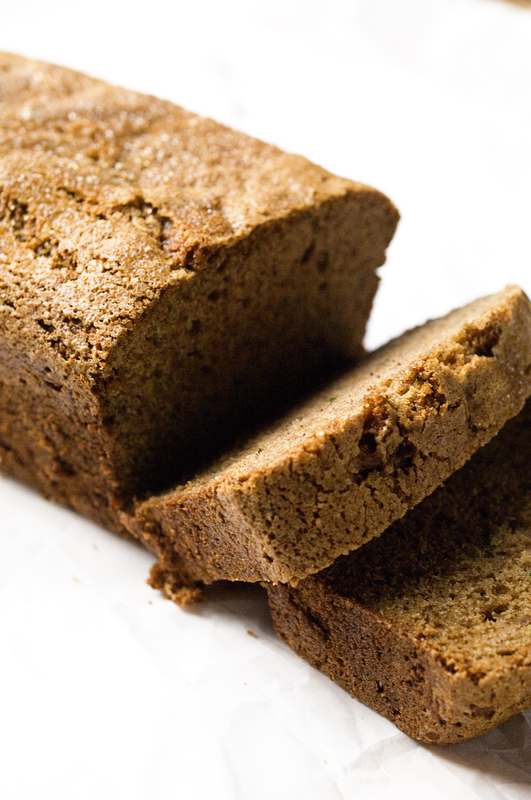 Looking for a healthy chocolate zucchini bread? Weelicious has the recipe for you. I love this site, check it out! Need a vegan recipe? How about a vegan zucchini bread with coconut and chocolate chips? How Sweet It Is has the recipe for you. I never thought of putting molasses in a zucchini bread recipe until I came across whole wheat molasses zucchini bread by Kitchen Simplicity. It sounds healthy and looks delicious. Oh and it is chock full of walnuts and chocolate chips. Yum! My mom makes the best lemon poppy seed bread. My sister claims her bread is better. I can’t decide, I love both of them. In fact, I love most quick breads so when I came across a recipe for lemon poppy seed zucchini bread it went immediately onto my must make list! Looking for a zucchini muffin recipe? Simply Recipes has one for you and it sounds tasty! This entry was posted in Breakfast, Summer, Sweets and tagged breakfast bread, healthy zucchini bread, summer bread, zucchini bread, zucchini recipe. Bookmark the permalink.